An epic wedding videography love story film to end off 2013. OJQ and Celestal is such a fun couple to work with. During the initial meetup, we found them to have very interesting and outgoing personalities. As we seek deeper into their love story, we also found them to have huge differences in their individual views of how their love story actually developed over the past 10 years. OJQ think their story happened in one way while Celestal think their story developed in another way. It is akin to the book written by John Gray “Men Are from Mars, Women Are from Venus”. It was actually fun watching them telling us their own versions with lots of fun arguments in between. It was at this point that we decided to produce a love story film which can strongly portray their fun personalities and individual viewpoints instead of a common consensus. The challenge is that the film has to show how OJQ and Celestal are really like as a couple in real life. During the scene design stage, we decided to have OJQ and 2 of his best buddies having a chit chat session at the garden while trimming bonsai while Celestal is also having her own conversation with her friend in the kitchen baking cake. We chose these 2 activities (trimming bonsai and baking cake) not due to our fabled imagination, but because these are their real life past time hobbies and we really want to portray that. 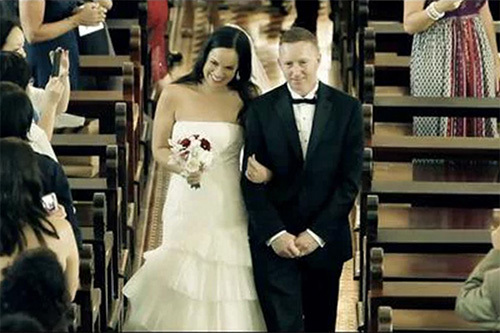 This is a short wedding videography film based on the true love story of Dylan and Joanne. What’s interesting about this film is that we try to tell their story in a different presentation style and move more in the direction of a short film than a music video or a dramatized documentary and we think it worked out well. We had great fun shooting this film. As there were many locations to cover, we had to move and shoot fast. For most of the shoots, we were blessed with good weather. However, it started raining when we were about to shoot the 2nd last scene (Dylan’s phone call with his mum in the car). We decided to change the original indoor scene to an outdoor car scene, braving the rain with an umbrella. With Dylan and Joanne in the car on a rainy evening, this further heightens the air of romance of the story.